Just when I think I'm okay with my new life and my not-so-new-anymore town, I go to Austin. Ah Austin, my old hometown. 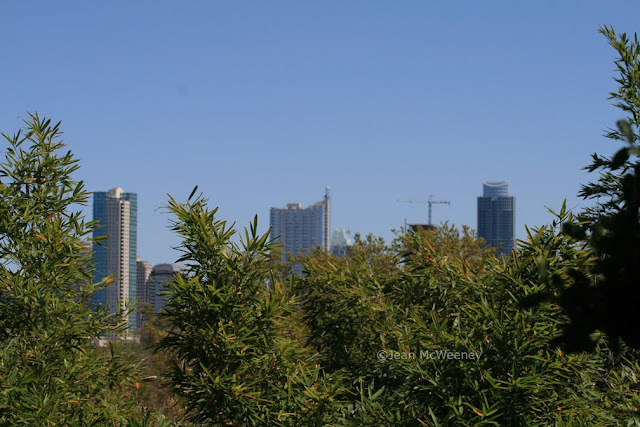 Austin likes to celebrate itself and nothing epitomizes that more than a beautiful weekend in the spring - everyone is smiling, the wildflowers and trees are blooming, the sun is shining, the air is at just the right temperature, and absolutely everyone is outdoors. 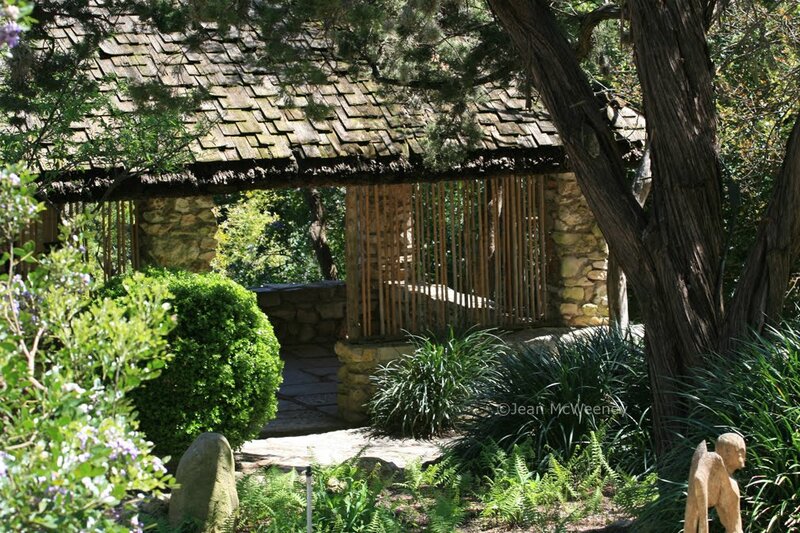 Between many visits with old friends I managed to find my way to Zilker Botanical Garden. It's an old garden that meanders through diverse habitats and it was a perfect way for me to enjoy some sun without spending money (at the nurseries, of course!). Have you ever seen a lorapetalum in tree form? I found this one at the entrance to the garden. Amazing. The Isamu Taniguchi Japanese Garden, built over 3 rugged acres in 1969 by Mr. Taniguchi when he was 70 years old, has ponds, a moonwalk, a waterfall, Japanese maples, and the remains of a Mother Tree, a pittosporum growing out of rock. There is also a teahouse, which used to have a lovely view of the Austin skyline but today can hardly be seen because of the bamboo. 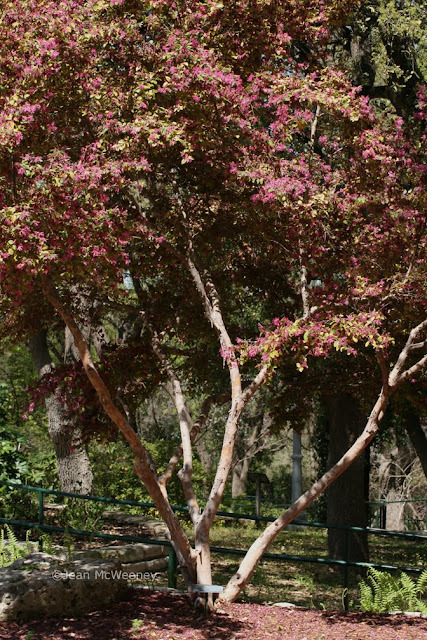 What would Austin be like without the native Texas Mountain Laurel, Sophora secundiflora? The fragrance, similar to grape soda, is poweful, and can be detected while sitting at a stoplight! The garden center has some huge rainwater harvesting equipment. My tour of Zilker Gardens was short (there's alot more to see there) since I was actually on my way to another nursery. This being spring and all, I wanted to be sure I got my fill of all things in the garden. 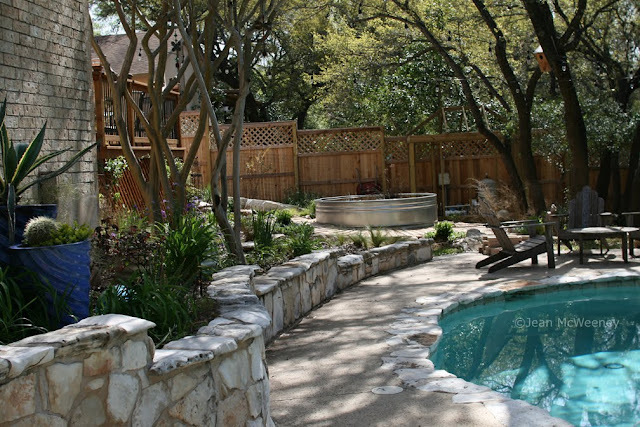 And what better way to cap off a garden filled weekend than to visit Pam Penick's own backyard? Pam, owner of Penick Landscape Design and writer of the blog Digging, is an amazing garden designer and my photos really can't do her yard justice. She has a gardener's garden - it's perfect for strolling through, examining close up the many Texas natives as well as succulents, cacti, and other well adapted plants. Above you can see Pam's second patio overlooking the stock tank pond. The blue water of the pool is so cool and calming. This photo was taken on a natural pathway made of giant limestone boulders. I mean giant - they are there naturally and Pam has made the most of them. I can't believe I didn't get a good photo of Pam's stock tank pond and the new rock spiraling around it. It's fabulous. I think we were just too busy talking for me to capture those good photo ops so you'll just have to visit her blog. Click on this link to see one of her latest posts that includes a photo of it. I did manage to get a photo of her iconic Whale's Tongue agave. It's even more impressive in person and looks incredibly happy there. Thank you Pam, for taking time out of your day to show me around and gab about the gardening life. I only wish I had had more time and could have joined you and other Austin bloggers at Design-a-go-go. 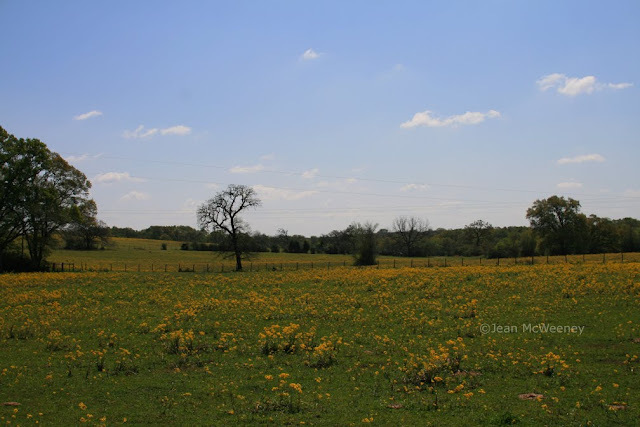 I leave you with a typical Texas spring scene of wildflowers and blue sky. I'll see more of this on my next trip, this time to Houston (and yes, more garden related adventures are on tap!). Thank you for sharing your visit to Austin. I'd like to go there again, this is a treat. Loropetalum trees abound here. 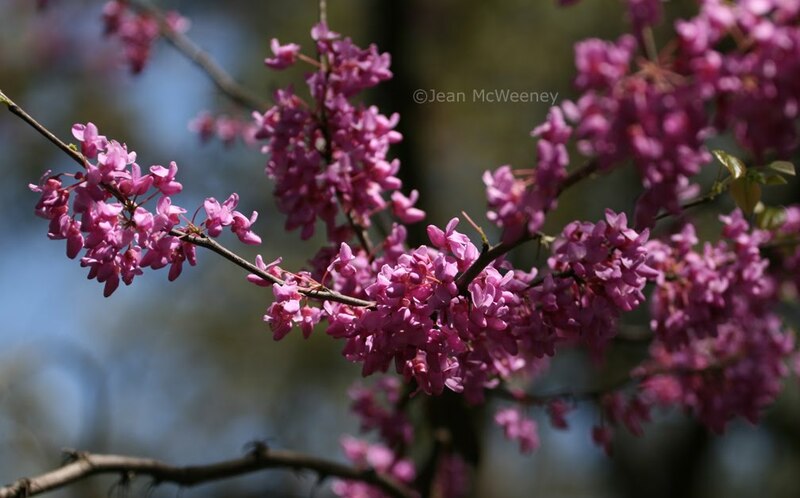 In time, they reach proportions that are not manageable to keep pruned as shrubs. It was great to visit with you again, Jean, after meeting you in Chicago last Spring Fling. Thanks for your kind words about my garden. It still looks pretty "new-baby" to me in these pictures; I hope the next time you come there'll be a little more to look at. I'm loving your pictures of Zilker Garden and the wildflowers too. Looks like you had a really nice visit. The weather was beautiful here, this weekend, wasn't it? I missed seeing the Loropetalum tree. Thanks for sharing. I might need to rethink the place I wanted one. 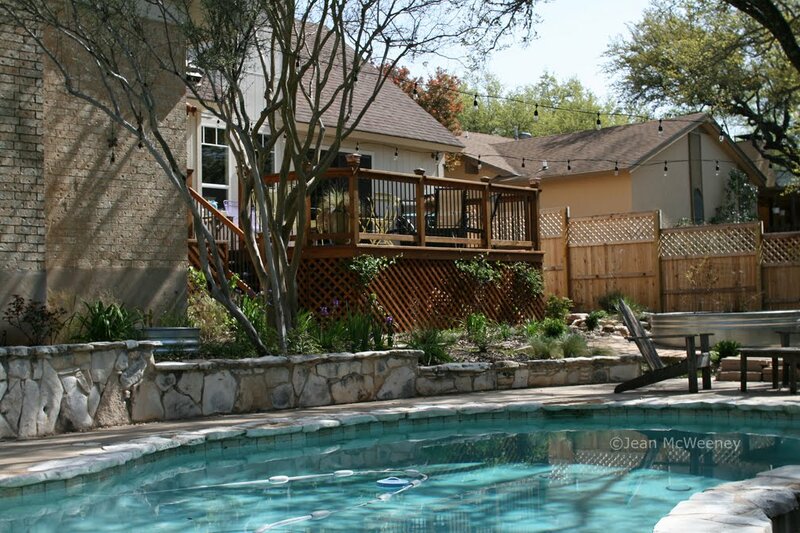 Austin beckons and you have captured its' beauty. How wonderful that you and Pam could share gardening stories and her garden. Great pictures Jean. I've never seen a lorapetalum in tree form, that is awesome. 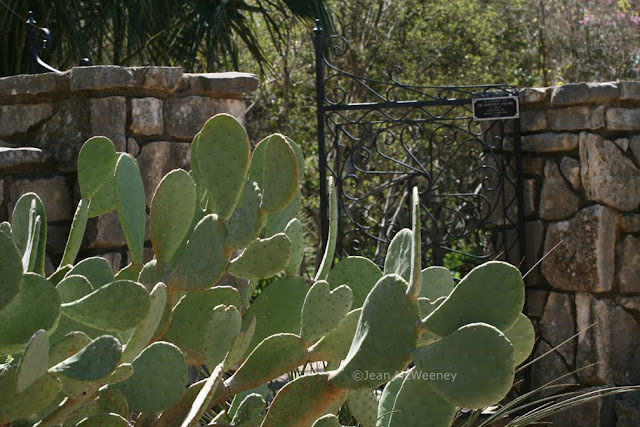 How lucky you are to see Pam's garden. I'm impressed at all the work she has done. I love her pool. Lovely photos, made me wish for spring to really get going here! What a fun trip to two really lovely gardens! Thank you for sharing! Austin in the spring time with some of the nicest people I know... how fun! Thanks for taking us along. Loved that skyline view from the teahouse! And getting to see Pam's garden through someone else's lens. Thanks for taking us along on this tour, Jean. I love to visit Japanese gardens, and this one looks beautiful. There is something about them that creates an immediate sense of peace and serenity. Read the book Hardy Succulents: Tough Plants for Every Climate by Gwen Kelaidis and Saxon Holt. If you get the right kind then you should be able to grow one. I shouldn't be able to grow them here either but I'm trying (lots of good drainage is key). 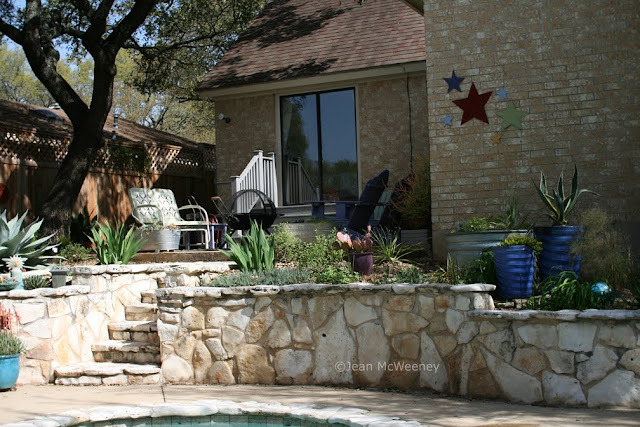 Jean, great shots of Zilker and of Pam's garden. I've been busy getting my garden ready for your visit! Oh, too bad we did not see that park when we were in Austin. Pam's garden is amazing. I love those limestone boulders. 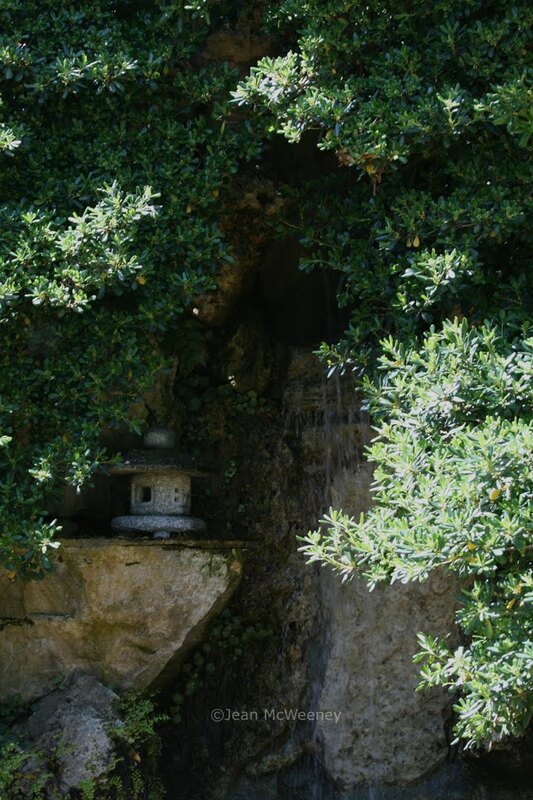 I also love Japanese gardens, though, for various reasons, I would never want one. 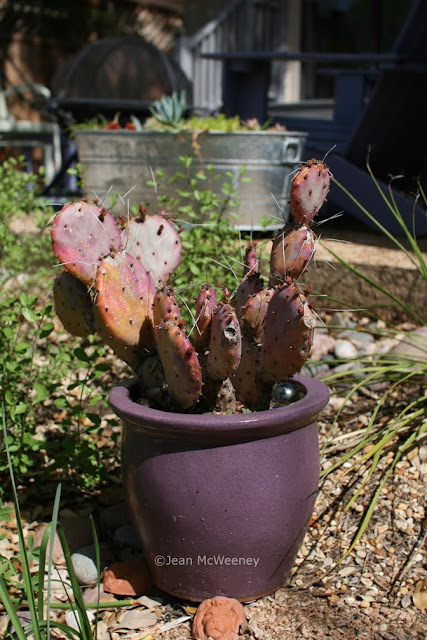 Very cool prickly pear! 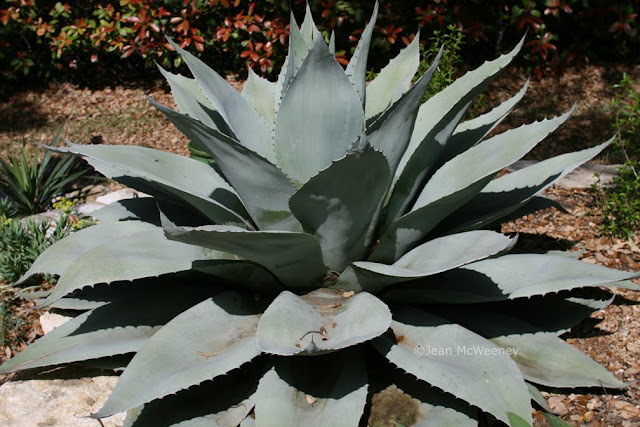 and the agave is to die for! 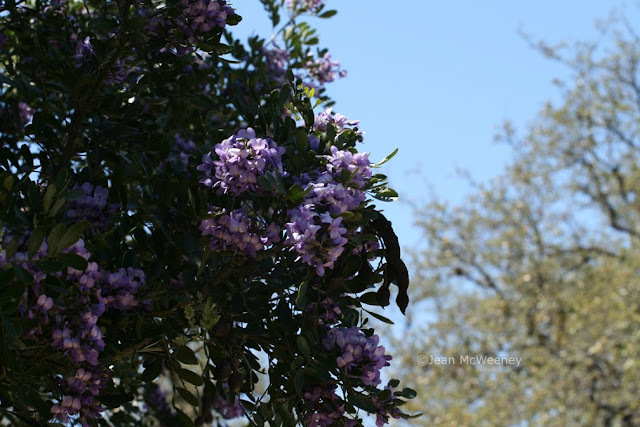 The Texas Mountain Laurel sounds amazing. 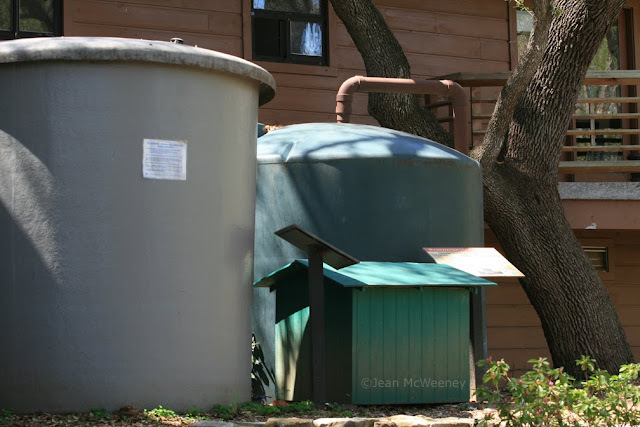 I love your pictures of Pam's yard. Sounds like you had a wonderful visit to Austin. Friends, Zilker and a visit to Pam's. What better way for any gardner to spend her day. Next time you are in Austin I would love to have you come over here. Just let me know by email. It would be fun to meet a garden blogger from another town. i have the Saxon Holt book. I just drool over the pictures. Jenny - thank you so much for the invitation. I would love to see your garden so next time I'm in Austin, I'll make it happen.